We don’t have to worry about the world’s being wiped away by another flood. “Never again will everything living be destroyed by floodwaters,” God told Noah. The Bible also seems to predict a violent destruction of the earth sometime in the future, but the Book of Revelation describes it in more poetic terms. When Noah was warned of disaster, God told him how to survive. What can we do now to survive the end of the world? We can save people by space colonization. “The long-term survival of the human race is at risk as long as it is confined to a single planet,” said theoretical physicist and cosmologist Stephen Hawking. “Sooner or later, disasters such as an asteroid collision or nuclear war could wipe us all out. But once we spread out into space and establish independent colonies, our future should be safe.” The first step to space colonization—the modern equivalent of the ark—is relatively cheap and available space travel. Elon Musk, Jeff Bezos, and Sir Richard Branson are all working on commercial space flights. 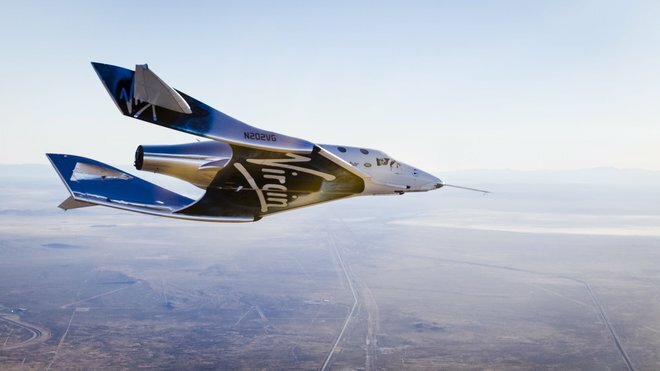 Virgin Galactic’s first space flight was supposed to have been broadcast on NBC in 2014, but a disaster ended that. Sir Richard Branson now says, "I'd be very disappointed if we're not into space with a test flight by the end of 2017 and I'm not into space myself in 2018 and the program isn't well underway by the end of 2018." Virgin Galactic's second SpaceShip vehicle, VSS Unity, on its first glide flight on December 3, 2016. Virgin Galactic's first SpaceShip vehicle, the VSS Enterprise, broke apart in a disastrous descent in October, 2014. Three kinds of rhinoceroses (two-horned, black, and Javan), two kinds of whales (blue and sperm), and the Asian elephant are all among the top one hundred globally endangered animals. What can we do? We can protect wildlife habitats. We can reduce the threat of invasive species. We can minimize the use of pesticides and herbicides. Futurists and scientists encourage us to prepare for the end of the world by taking steps now to save people, save plants, and save animals. The Bible also encourages us to prepare now for “the end of the age”—and the story of Noah and the ark is involved. We should listen carefully to what the rocks say about the past—they don’t lie. And we should listen carefully to what the Bible says about the future—it doesn’t lie. Jesus made the connection between Noah and the end of the age and He told His followers how to prepare for it. No one knows, however, when that day and hour will come. . . . The coming of the Son of Man will be like what happened in the time of Noah. In the days before the flood people ate and drank, men and women married, up to the very day Noah went into the boat; yet they did not realize what was happening until the flood came and swept them all away. That is how it will be when the Son of Man comes. . . . Watch out, then, because you do not know what day your Lord will come. . . . You also must always be ready, because the Son of Man will come at an hour when you are not expecting him. After watching Noah for so many years without anything happening, the people grew tired of listening to his warnings and ignored him. They probably thought he was an eccentric nut. They conveniently forget that long ago all the galaxies and this very planet were brought into existence out of watery chaos by God’s word. Then God’s word brought the chaos back in a flood that destroyed the world. The current galaxies and earth are fuel for the final fire. God is poised, ready to speak his word again, ready to give the signal for the judgment and destruction of the desecrating skeptics. It’s not a pretty picture, but neither was Noah’s Flood, as Darren Aronofsky’s film shows. Christians think [Jesus] is going to land in force; we do not know when. But we can guess why He is delaying. He wants to give us the chance of joining His side freely. ... When that happens, it is the end of the world. When the author walks on to the stage the play is over. God is going to invade, all right, but . . . this time it will be God without disguise; something so overwhelming that it will strike either irresistible love or irresistible horror into every creature. It will be too late then to choose your side. ...It will be the time when we discover which side we really have chosen, whether we realized it before or not. Now, today, this moment, is our chance to choose the right side. God is holding back to give us that chance. It will not last forever. We must take it or leave it. As Joshua, a leader of the Israelites, said, “Choose this day whom you will serve.” Be ready for the end of the age. II Peter 3:3-7, The Message. C.S. Lewis, Mere Christianity, (New York: HarperOne, 1952), 65.